Dr. Lawrence Roberts, who pioneered the use of packet switching in the ARPANET and the X.25 protocol, passed away on December 26 at his home in Redwood City, California, of a heart attack. He was 81. 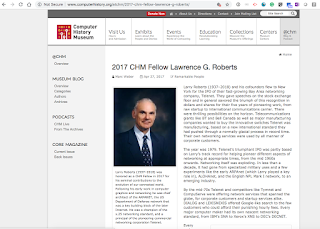 Roberts received his bachelor's, master's and Ph.D. from the Massachusetts Institute of Technology (MIT), and later worked at the MIT Lincoln Laboratory. In 1967, he became program manager for the ARPANET. Roberts is credited with applying concepts of decentralized control, Interface Message Processors, and packet switching, developed by Wesley Clark, Donald Davies, Paul Baran, Leonard Kleinrock and others, in building the first wide area packet-switching network. In later years, Roberts led a number of business ventures including Telenet (packet switching, sold to GTE), DHL Corporation (global delivery and logistics), NetExpress (Asynchronous Transfer Mode equipment), ATM Systems, Caspian Networks (switch routers), Anagran (IP flow management), and Netmax. Sandra D. Motley as President of Nokia's Fixed Networks Business Group effective January 1, 2019. She replaces Federico Guillén, who as previously announced has been named President of Customer Operations, EMEA & APAC. 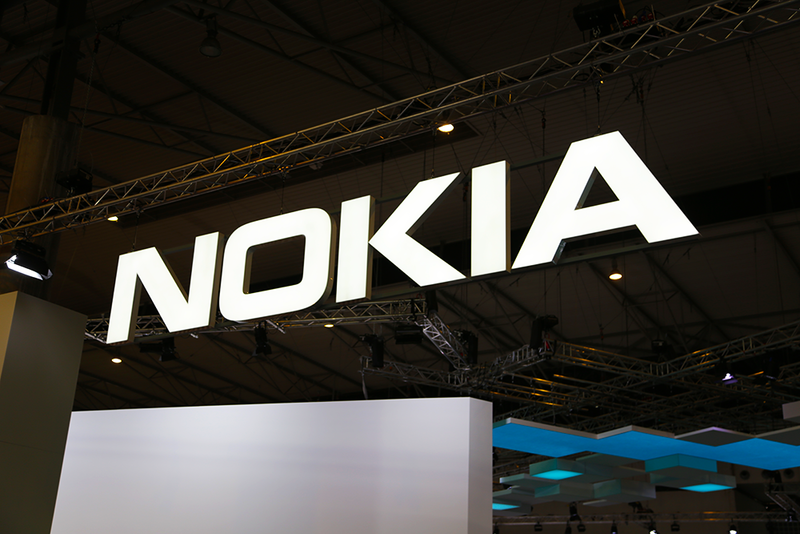 Motley will report to Nokia President and CEO Rajeev Suri. Motley started her career at AT&T Bell Laboratories, held a range of R&D and sales leadership positions at Alcatel-Lucent in both fixed and wireless businesses, and then joined Nokia in 2016. At Alcatel-Lucent, her roles included leading sales for U.S. wireless accounts and serving as Chief Operating Officer (COO) for that company's wireless business, where she was responsible for R&D, Quality and Operational functions. After becoming part of Nokia, Motley oversaw end-to-end solutions for the North America market, and most recently, she has held the role of COO for the Fixed Networks business group. NETGEAR completed its previously announced distribution of 62,500,000 shares of Arlo common stock (NYSE: ARLO) owned by NETGEAR, representing approximately 84.2% of the outstanding shares of Arlo common stock. After the completion of the distribution, NETGEAR no longer owns any shares of Arlo common stock. In addition, Patrick C.S. Lo resigned as a director of Arlo, and the Board of Directors of Arlo reduced the size of the board from seven to six. 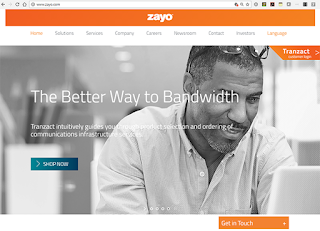 Zayo signed a global Software as a Service (SaaS) for data center colocation at one of its Midwestern data centers. The deal doubles the customer’s data center footprint with Zayo. Beginning on December 27 at around 10am MST CenturyLink was hit by a widespread outage impacting consumer and businesses across the United States. Numerous communities reported a loss of 911 service. Businesses reported a loss of mission-critical cloud services. Residential customers complained about the loss of broadband connectivity. CenturyLink's network status page posted the following brief message: "We are investigating an incident affecting the CA1, CA2, IL1, NY1, UC1, VA1, VA2 and WA1 data centers." Status updates via the company's Twitter pointed to a faulty "network element" but did not elaborate. On Friday evening, more than 24 hours after the outage began, CenturyLink reported via Twitter that all consumer services impacted by the event, including voice and 911, were restored as of December 28 at 7:30pm Mountain Standard Time. NEC agreed to acquire KMD A/S, the largest Danish IT company, for approximately 8 billion Danish Kroner (DKK) from Advent International, a global private equity firm. The acquisition is expected to be completed by the end of February 2019. KMD mainly provides software and IT services in Denmark through business models that generate profit continuously on a recurring basis, such as software as a service (SaaS) offerings. Specifically, KMD has a strong customer base among central and local governments and has a wide variety of software for supporting the digitization of Denmark. 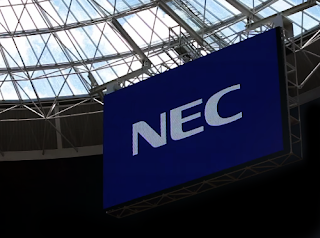 NTT Communications (NTT Com) agreed to acquire a majority stake in Transatel (HQ: Paris, France, CEO: Jacques Bonifay), a global Internet of Things (IoT) cellular connectivity management provider and Mobile Virtual Network Enabler (MVNE). Financial terms were not disclosed. Transatel, established in 2000, has since 2012 been a pioneer in deploying its own worldwide data MVNO network compliant with Embedded SIM (eSIM*2) technology to address three key market segments: Consumer Electronics, Automotive and Industrial IoT (IIoT). Transatel claims over 170 successful client MVNO launches and to be the leading European MVNE. This transaction will allow NTT Com to drastically extend its Global IoT solution offerings. The combined synergies between Transatel's Worldwide data MVNO solutions and NTT Com’s global network infrastructure, data center, cloud and IoT platform will bring to this alliance the ability to provide a unique value proposition to the market. Shuichi Sasakura, Senior Vice President and Head of Network Services of NTT Com: "Together with Transatel's engineering expertise in the IoT connectivity space, NTT Com believes that it can further enhance and contribute to bringing about digital transformation for our customers and partners in the IoT age." IRIDEOS, an Italian infrastructure provider with 12 data centers and 30,000 km of optic fiber deployed along motorways, announced the ability to support connections up to 400 Gbps following an upgrade to its transport network. The IRIDEOS network is based on ultra-low latency, direct optical paths ensuring high performance, and on an ASON architecture and GMPLS protocols for dynamic protection of services. IRIDEOS is 78.3% owned by F2i, the largest Italian infrastructure fund, and 19.6% by Marguerite, the infrastructural fund created by six European public financial institutions and the European Commission. Network automation will hit the curve in the proverbial hockey stick. Open source will be more than an alternative business model. SD-WAN will begin to yield to SD-Enterprise. It’s not that SD-WAN will become less important in 2019, but as the industry starts applying the principles of SD-WAN more broadly, SD-WAN will start its evolution to SD-Enterprise. Cloud management and intelligent routing across the WAN can be transformative for more than the subset of products currently in market. As campus moves this direction, it seems inevitable that the concept will broaden. Notably, the embrace of software as the primary vehicle for delivering value also means that the days of refresh cycles being on the order of 5-to-7 years will likely come to an end as well. This should stoke competition in a market that, frankly, has looked more like a monopoly than a vibrant ecosystem at times over the last decade. Times, they are a-changin’. The excitement around 5G is building as we hear more news about network deployments, trials and handsets. However, one 5G-related issue that hasn’t yet been crystallized is what form 5G software and innovations will take, and how these new services and applications will be deployed into the network. Unlike 4G/LTE network infrastructure, the architectures that support 5G are virtualized and cloud-based, so the smart money is on application developers, mobile operators and equipment vendors using microservices, and in particular containers, to drive 5G evolution. Momentum is building behind 5G. The US and South Korea are leading the charge with the rollout of the first commercial networks; trials are taking place in every major market worldwide; and Verizon and Samsung have just announced plans to launch a 5G handset in early 2019. Expectations for 5G are high – the next-generation mobile standard will underpin mission-critical processes and innovations, including telemedicine, remote surgery and even driverless cars. However, vast sums of money will need to be spent on network infrastructure before any of this can happen, and it's the mobile and fixed carriers who will be expected to foot the bill. This is compounded by the fact that many of the aforementioned 5G use cases have yet to be defined, so carriers are being asked to gamble on an uncertain future. One thing is for certain - 5G will drive network virtualization. In 2019, we will see an increasing number of carriers committing to deploying virtualized network infrastructure to support 5G applications and services. Without virtualization, it will be ‘virtually’ impossible to deliver 5G. This is because 5G requires virtualization both at the network core, and critically at the network edge. Puns aside, the days of building networks to support a single use case, such as mobile voice and data, or home broadband, are behind us. If 5G is to become a reality, then the networks of the future will need to be smart and automated, with the ability to switch between different functions to support a range of use cases. 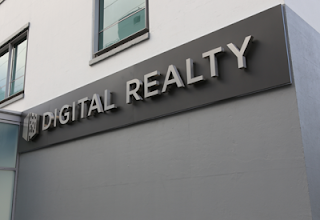 However, moving from the physical world to the virtual world is no mean feat. Carriers are now discovering that their already complex networks are becoming even more so, as they replicate existing functions and create new ones in a virtualized environment. Wholesale migrations aren’t possible either, so carriers are having to get to grips with managing their new virtual networks alongside earlier generations of mobile and fixed technologies. Despite these challenges, 5G will undoubtedly accelerate the virtualization process. Subsequently, no-one will want to be left behind and we will see greater competition emerge between carriers as they commit funds and resources to building out their virtualised network infrastructures. 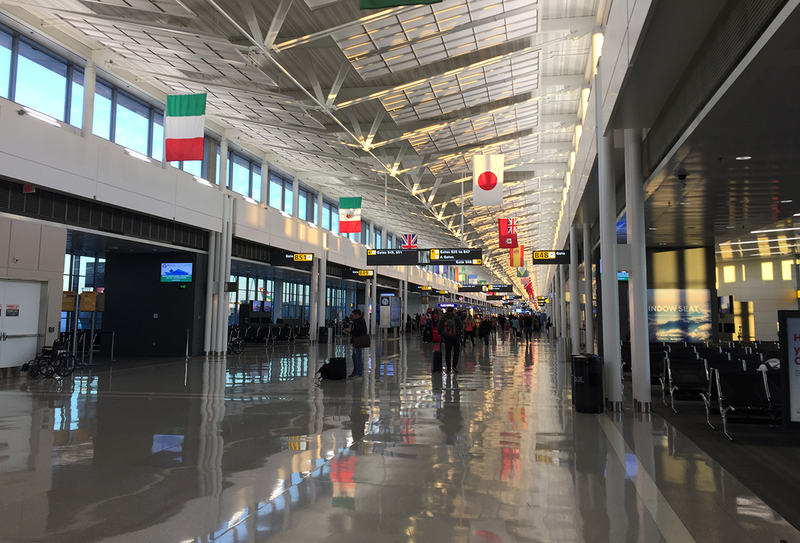 To justify this spend, and to tackle the challenges that lie ahead, carriers will require smart visibility into their constantly evolving network architectures. Virtual probes that produce smart data, supported by intelligent tools, offer much-needed visibility into the performance of these new networks and the services they support. The invaluable knowledge they provide will be absolutely critical for carriers as they accelerate their use of virtualized infrastructure to successfully deploy 5G. Network automation and orchestration are by-products of virtualisation and will add another layer of complexity. However, they are also integral to the rollout and sustainability of 5G networks, particularly as network topologies will change to accommodate a combination of small cell and macro cell sites. Small cells in particular will form the bulk of the new RAN (radio area network) and they are expected to increase cellular networks threefold. If network engineers think they have enough issues to deal with today maintaining 4G/LTE networks, then they may be in for a shock as 5G networks are gradually rolled out. In fact, without having total visibility of these more complex and expansive networks, 5G in the RAN is going to become extremely difficult to manage. If the number of cells were to double or triple, not only would network engineering teams need to have the full confidence in their network management tools to make sure the network is running optimally, but they would also be faced with one heck of a job troubleshooting hundreds, potentially even thousands of cells if an issue arose. In 2019, carriers will be scrutinising costs per cell site as they look to invest in new infrastructure. They will look to offset any costs by implementing intelligent and automated systems that can support 5G networks. However, carriers need assurances that these systems are providing them with the right information about the uptime and performance of their new networks. 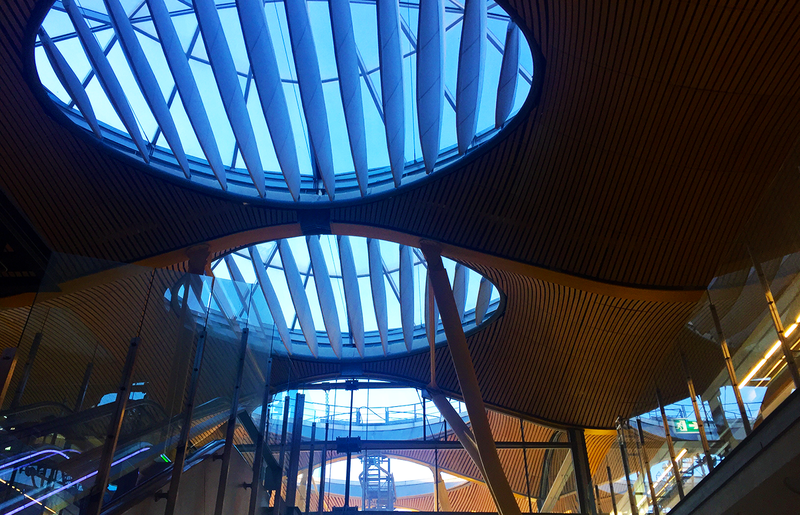 The only way to achieve this will be to have complete visibility of these complex new architectures. Having a window into this multi-layered and virtualized environment, and being able to extract smart data in near real-time, will be essential for the ongoing management of new 5G networks. To date, it appears that 5G security has almost been treated as an afterthought, rather than a critical aspect of network development. However, behind the scenes this is an issue that the carriers take very seriously. The situation for carriers has altered dramatically, because in a 5G domain, the attack surface becomes much greater. Consequently, the number of opportunities for malicious players to exploit vulnerabilities increases. This is partly due to the adoption of virtualized network infrastructures that will allow carriers to scale and meet the demands of 5G, but also because 5G networks will be configured to support a wide variety of industrial and business use cases. This means that going forward, carriers will be responsible for managing mission-critical systems and devices, in addition to handling high volumes of sensitive data. In a 5G environment, there will be a strong emphasis on securing smart factories, automated production lines and fleets of driverless cars. As new 5G network architectures are based on virtualization and distributed cloud models, and a containerized environment to support workloads and applications, it’s apparent that carriers have to deal with a whole new set of complexities. Existing security protocols will need to be scrapped and replaced with robust systems and procedures that account for this new complex environment and the burgeoning 5G value chain; that includes applications developers, device manufacturers, cloud service providers and the carriers themselves. A new built-in resilience is required to limit the attack landscape and to reduce the risk of malicious attacks and perimeter breaches. A pervasive security model that offers comprehensive insight on both service performance management and security offers the best solution to address 5G security. It enables service providers to extract ‘smart data’ that is collected and processed at the source from legacy, virtual and hybrid cloud environments. It’s the closest carriers and their customers will ever get to implementing ‘holistic security’ across their entire IT estate. 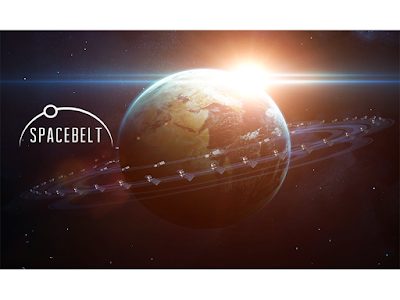 Cloud Constellation Corporation, a start-up based in Los Angeles, announced a funding commitment of $100 million from HCH Group Company for its "SpaceBelt" series of data centers in orbit. Cloud Constellation’s SpaceBelt is described as "an innovative cloud service for the protection of an organization’s strategic, mission-critical data assets." The company plans to deploy a network of eight satellites in low earth orbit (LEO) to store mission-critical enterprise, government and military data with the strongest security possible. The idea is to provide global isolation of an organization’s high-value, highly sensitive data assets from the data breach risk of terrestrial networks. The company believes the current costs of launching petabytes of high-performance storage into orbit makes its vision possible. In light of ongoing, massive data breaches across all sectors and the consequent responsibility laid at executives’ and board members’ feet, the safe storing and transporting of sensitive data has become a critical priority. Cloud storage is a relatively new option, and both businesses and government entities have been flocking to it. Synergy Research Group reports that the worldwide cloud computing market grew 28 percent to $110B in revenues in 2015. In a similar vein, Technology Business Research projects that global public cloud revenue will increase from $80B in 2015 to $167B in 2020. By taking part in the Cloud, organizations are using shared hosting facilities, which carries with it the risk of exposing critical data to surreptitious elements – not to mention the challenges associated with jurisdictional hazards. Organizations of all sizes are subject to leaky Internet and leased lines. As the world shifts away from legacy systems to more agile software solutions, it is becoming clear that the time is now for a paradigm shift in how to store, access and archive sensitive data. Enterprises and government agencies need a better way to securely store and transport their sensitive data. What if there was a way to bypass the Internet and leased lines entirely to mitigate exposure and secure sensitive data from hijacking, theft and espionage, while reducing costs both from an infrastructure and risk perspective? Threatening Clouds – Cloud environments currently run on hybrid public and private networks using IT controls that are not protective enough to stay ahead of real-time cyber security threats. Enterprise data is maliciously targeted, searchable or stolen. Sensitive data can be subjected to government agency monitoring and exposed to acts of industrial espionage through unauthorized access to enterprise computers, passwords and cloud storage on public and private networks. Questions of Jurisdiction – Due to government regulations, critical information could be restricted or exposed, especially when it has regularly been replicated or backed up to an undesirable jurisdiction at a cloud service provider’s data center. Diplomatic privacy rules are under review by governments intent on restricting cross-jurisdictional access and transfer of the personal and corporate data belonging to their citizens. This has created the requirement for enterprises to operate separate data centers in each jurisdiction – financially prohibitive for many medium-sized enterprises. What government and private organizations need is an independent cloud infrastructure platform, entirely isolating and protecting sensitive data from the outside world. A neutral, space-based cloud storage network could provide this. Enterprise data can be stored and distributed to a private data vault designed to enable secure cloud storage networking without any exposure to the Internet and/or leased lines. Resistant to natural disasters and force majeure events, its architecture would provide a truly revolutionary way of reliably and redundantly storing data, liberating organizations from risk of cyberattack, hijacking, theft, espionage, sabotage and jurisdictional exposures. A storage solution of this type might at first seem prohibitively expensive, but costs would run the same or less to build, operate and maintain as terrestrial networks. Further, it would serve as a key market differentiator for cloud service providers who are looking for solutions that provide physical protection of their customers’ critical information. This is because such a system would need to include its own telecom backbone infrastructure to be entirely secure. While this is extremely expensive to accomplish on the ground, it need not be the case if properly architected as a space-based storage platform. Sooner than many might think, governments and enterprises will begin to use satellites for the centralized storage and distribution of sensitive or classified material, the storage and protection of video and audio feeds from authorized personnel in remote locations, or the distribution of video and audio gathered by drones. Cyber criminals don’t seem to be slowing their assault on the network, which means data breaches of Earth-based storage solutions will continue. Organizations need to think outside the Cloud in order to keep their critical data secure, both while being stored and in transit. The technology exists today to make satellite storage a reality, and for those who are working hard to stay ahead of malicious actors, it can’t arrive soon enough. Scott Sobhani, CEO and cofounder of Cloud Constellation Corporation and the SpaceBelt Information Ultra-Highway, is an experienced telecom executive with over 25 years in executive management positions, most recent as VP for business development and commercial affairs at International Telecom Advisory Group (ITAG). Previous positions include CEO of TalkBox, VP & GM at Lockheed Martin, and VP, GM & senior economist at Hughes Electronics Corporation. Mr. Sobhani was responsible for closing over $2.3 billion in competitive new business orders for satellite spacecraft systems, mobile network equipment and rocket launch vehicles. He co-authored “Sky Cloud Autonomous Electronic Data Storage and Information Delivery Network System”, “Space-Based Electronic Data Storage and Network System” and “Intermediary Satellite Network for Cross-Strapping and Local Network Decongestion” (each of which are patent pending). He has an MBA from the University of Southern California, and a bachelor’s degree from the University of California, Los Angeles. Philips will sell 100% of its Photonics GmbH division to TRUMPF. Financial terms were not disclosed. Philips Photonics, which iss headquartered in Ulm, Germany, designs, manufactures, markets and sells VCSEL-based solutions for data communications, consumer and industrial applications. 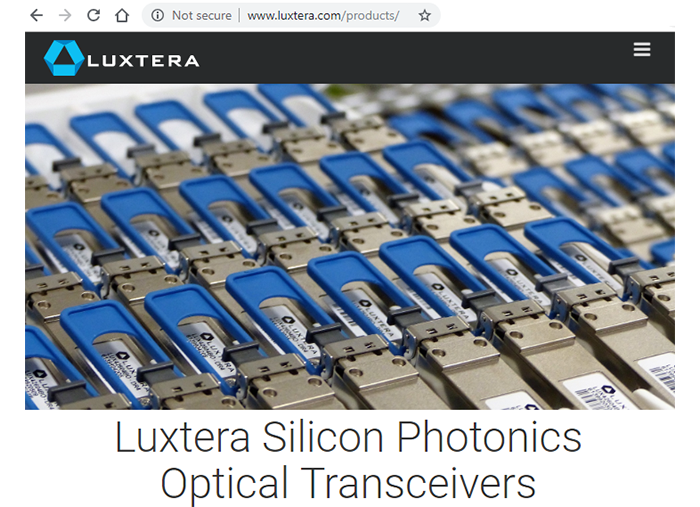 Its product portfolio ranging from high speed VCSELs (vertical-cavity surface-emitting lasers) for data communication to infrared illumination modules for security, surveillance and night vision applications, from single mode VCSELs for sensing applications to intelligent Laser Doppler sensors for accurately measuring velocity and distance. Philips Photonics' laser diodes are manufactured in a high-tech facility in Ulm. Further locations are Aachen, Eindhoven in the Netherlands, and sales offices in Shenzen, Shanghai, and Qingdao in China. Photonics GmbH employs around 280 people. TRUMPF said the acquisition opens up a new market segment. TRUMPF's existing business includes high-power diode lasers. "With this acquisition, we want to open up new product fields and expand our existing portfolio at a strategically important point," said TRUMPF boss Nicola Leibinger-Kammüller. "Since our foundation in 2000, we have grown strongly. More than half a billion cell phones worldwide are equipped with laser diode technology from Philips Photonics," said Joseph Pankert, Business Leader of Philips Photonics. "We are very excited to become part of TRUMPF. This will ensure that the division can continue to grow in a highly innovative company in the future," Pankert continued. Tigo Senegal has selected Ericsson for its nationwide network modernization project, which will bring LTE across the country. 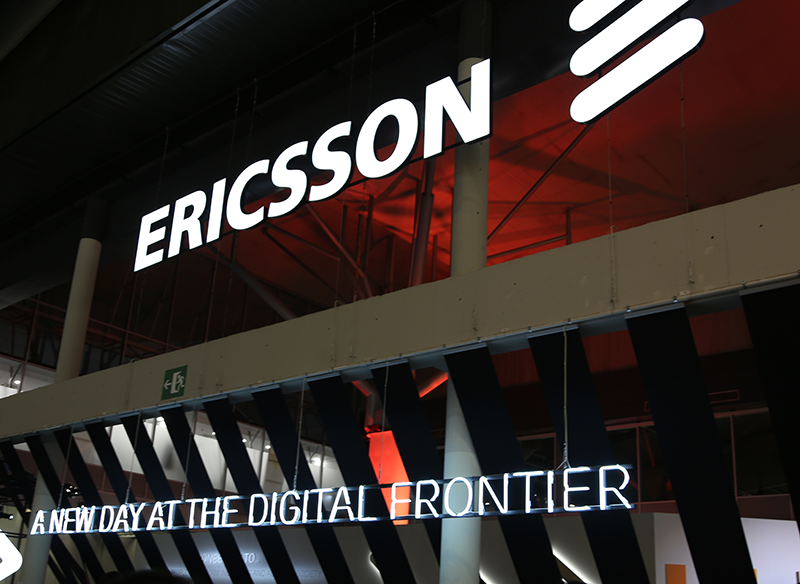 The 3-year contract covers upgrades to over 1,000 existing sites using the latest Ericsson Radio System (ERS) technology. The project will also expand Tigo’s mobile backhaul network with Ericsson’s MINI-LINK. Ericsson will also provide Cloud Packet Core and Cloud Data Management and Policy solutions for the modernization of Tigo’s core network to reduce OPEX and simplify the introduction of new user services. Additional solutions include Ericsson’s Mobile Packet Backbone Network (MPBN) and OSS migration to Ericsson Network Manager. Cambridge Mobile Telematics (CMT), which is known for its DriveWell platform used by insurers, fleet operators, cellular carriers, and large entreprises to measure driving risk, announced a $500 million investment from the SoftBank Vision Fund. CMT, which is located steps from the MIT campus, said the investment will boost its growth in automated crash and claims management, video analytics, and safety for emerging vehicle and mobility systems. The investment is subject to regulatory approval. CMT has pioneered many innovations since its inception, in 2010, from MIT’s Computer Science and Artificial Intelligence Lab. CMT deployed the first service to efficiently gather and process sensory data from phones for auto insurance (2012), use phone sensors to measure phone distraction (2013), and induce better driving with gamification (2014). Together, these innovations created the category of “behavior-based insurance”, also known as “mobile usage-based insurance”. Results from the field are compelling: the driving feedback, rewards, and contests delivered via the DriveWell platform reduce phone distraction by 35% on average with 30 days, and at-risk speeding and hard braking by 20%. These improvements lead to significant measurable reductions in crashes and insurance claims. 2018 - CMT shipped its 6 millionth Tag. Korea Internet Neutral eXchange (KINX) is leveraging Ciena’s Waveserver platform to provide connectivity between its data centers and offer new levels of flexibility and scalability for global leading internet content providers. KINX is the only carrier-neutral internet exchange provider in Korea, specializing in internet infrastructure, content delivery networks and providing cloud computing services to prominent domestic and international carriers, content providers, multiple system operators, financial institutions and government agencies. Ciena said its Waveserver platform will serve as the foundation for KINX’s new scalable DC architecture with seamless deployment over KINX’s legacy third-party photonic infrastructure. Waveserver provides capacity up to 400Gbps in a single rack-unit to conserve footprint and support high-bandwidth services such as video-on-demand and gaming. The platform offers the choice of high-density connections to optimize transmission costs and provide rapid bandwidth scalability for high-speed data transfer, virtual machine migration and disaster recovery/backup applications in data center interconnect. “Our Waveserver platform will connect KINX’s data centers in Korea, providing high bandwidth and low latency connections to domestic and international internet service providers, while supporting growing traffic demands,” stated Rick Seeto, Vice President and General Manager, APJ, Ciena. Keysight Technologies has submitted the industry’s first 5G TTCN-31 conformance test case to 3GPP RAN52 for 5G new radio (NR) device certification. The 5G NR Non-Standalone (NSA) test case submission was made using Keysight’s 5G Protocol Conformance Toolset, part of Keysight’s 5G Network Emulation Solution portfolio. It is the first 3GPP conformance test case at mmWave frequencies (28 GHz) using an over-the-air (OTA) test methodology. Protocol conformance tests are a key enabler for chipset and device manufacturers to validate the performance of new 5G designs. Earlier this month, Keysight announced that the company’s 5G RF Conformance Toolset was first to gain PTCRB approval for 5G New Radio (NR) device certification. Global mobile connections will total ten billion by 2023 according to forecasts provided by Ovum and published by 5G Americas. 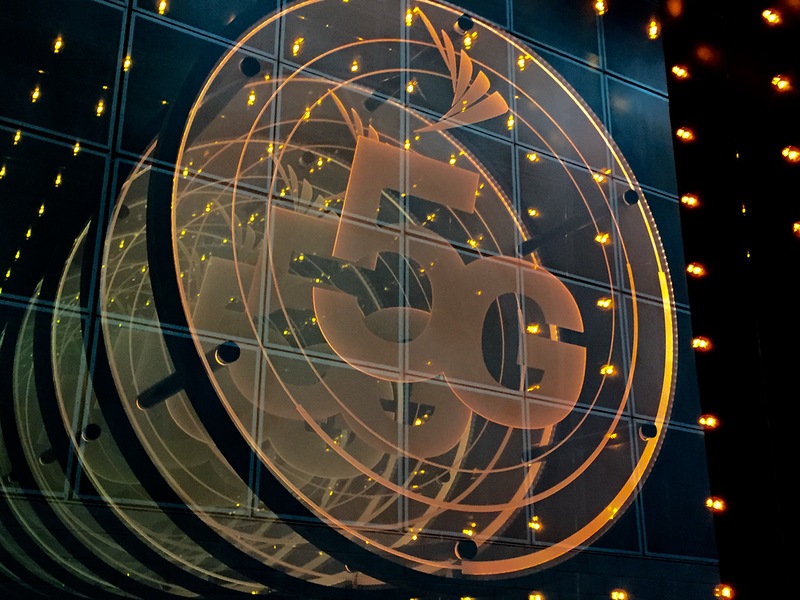 Also, by the end of 2023, global 5G connections are expected to reach 1.3 billion, an industry trade organization composed of leading telecommunications service providers and manufacturers. North America’s strong leadership in LTE will be replaced with early 5G connections building in 2019 and is forecast to reach 186 million 5G connections by 2023 for a 32 percent share of market. Ovum forecasts 336 thousand 5G connections in North America by the end of 2019 representing 47 percent of total global 5G connections. LTE achieved a penetration rate of 107 percent with 390 million LTE connections as of third quarter 2018, compared to the population of 365 million in North America. This penetration rate compares to the next two highest regions, Oceania, Eastern and Southeastern Asia at 87 percent and Western Europe at 71 percent. Latin America and the Caribbean continues steady growth of LTE connections and is forecast to reach more than half a billion LTE subscriptions by 2022. Vanu, which supplies access equipment for mobile network operators, announced VanuMaps, a mapping resource capable of detailing where connectivity is lacking and can be provided profitably throughout Africa, select countries in Asia and the rest of the world. The new mapping tool will enable Vanu’s mobile network operator customers to quickly and accurately identify communities in need and the most effective strategies to address their connectivity challenges. The coverage estimates included in the maps are an aggregation based on tower and terrain data and are not specific to a particular mobile network operator, nor is it known which mobile network operators operate from the towers used to predict coverage on the map. “Among the larger challenges of supplying mobile coverage to regions where it is currently unavailable is that there has not necessarily been a sufficiently accurate answer to the question: ‘where are the people who lack coverage located?’ That information is critical for us and our mobile network operator customers to identify sites efficiently and to invest with confidence, knowing that a reasonable return is available,” said Andrew Beard, CEO of Vanu, Inc.
LightOn, a start-up based in Paris, announced EUR 2.9 million (US$3.3 million) in seed funding for its work in developing optics-based data processing technology for AI. 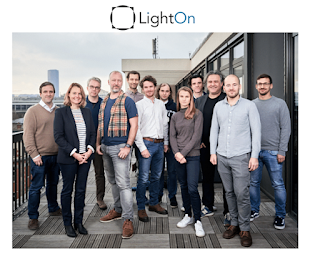 LightOn is building Optical Processing Units (OPUs) for sensing. The core technology, licensed by PSL Research University, was originally developed at several of Paris’ leading research institutions. The company said it is already working with OVH, Europe’s leading cloud provider. The seed funding was provided by several deep technology-focused venture funds, including Quantonationand Anorak. CityFibre has arranged for debt package of £1.12 billion from seven major financial institutions including ABN AMRO, Deutsche Bank, Lloyds Bank plc, Natixis, NatWest, Santander and Société Générale. 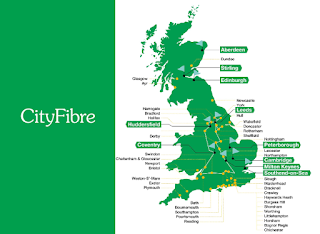 CityFibre notes that this is the largest debt financing package dedicated to full fibre rollouts in the UK’s history and represents an important milestone in CityFibre’s plan to improve the country’s digital future. The debt package will be used to fund the deployment of the first two million homes of CityFibre’s five million homes target and will expand CityFibre’s existing full fibre networks in 37 previously announced towns and cities nationwide. As well as connecting homes, CityFibre’s full fibre network is designed to serve all businesses and public sector sites, provide a superior backbone for mobile operators’ existing locations, enable the rollout of 5G and Internet-of-Things technology and offer transformative, future-proofed connectivity to those joining the Gigabit City Club. Terry Hart, CityFibre’s Chief Finance Officer, said: “The appetite from these institutions to support our financing is further evidence that CityFibre’s strategy is the right one for the UK. As our networks are rolled out, this will benefit everyone, driving innovation and increasing fibre penetration across the UK, providing the future-proof digital connectivity the UK needs." Gigaclear Network selected Ciena for a 100G transport network across multiple countryside locations in the UK. 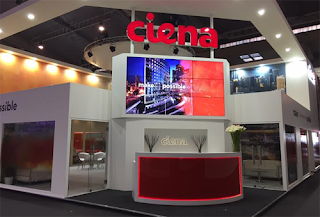 The network leverages Ciena’s 6500 Packet Optical platform powered by WaveLogic coherent optics. It also uses Ciena’s Blue Planet Manage, Control and Plan (MCP) domain controller software, which will automate network and service management and provide real-time visibility into network operations. With this new network upgrade, rural regions in the UK including Devon, Somerset, Herefordshire and Gloucestershire will benefit from greater access to high-speed service with rapid backhaul connections from London to Bristol and Northants. "The proliferation of fiber communities and the need for more backhaul capacity as a result of increased data demands requires Gigaclear to have an adaptive network that lays the foundation for future growth. With an optical network powered by WaveLogic and Blue Planet MCP, Gigaclear will have a programmable infrastructure to intelligently manage its bandwidth, drive innovation and expand services outside of the London metropolitan area," stated Jamie Jefferies, Vice President and General Manager, EMEA, Ciena. 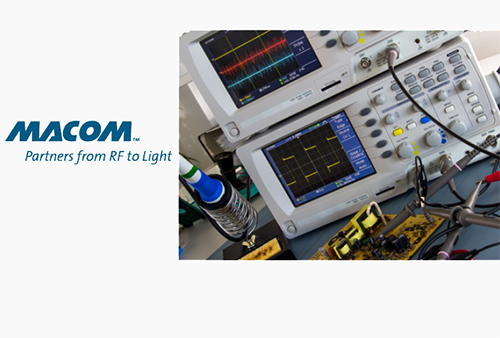 MACOM introduced a new portfolio of wideband, ultra low phase noise amplifiers. The first device in the series (MAAL-011151) is suited for use as a low phase noise amplifier stage for signal generation applications spanning a host of system designs targeting test and measurement (T&M), EW, ECM, and radar. MACOM said phase noise is a critical specification in defining the frequency stability of a signal source, with significant implications for receiver sensitivity performance. Its new MAAL-011151 minimizes phase noise contribution in providing LO signal gain, enhancing spectral integrity for T&M and communications systems, target acquisition for radar, and aerospace and defense (A&D) applications. Keysight Technologies and Qualcomm have demonstrated a 3GPP 5G New Radio (NR) standalone (SA) mode IP data transfer. The testing, which used Keysight’s 5G network emulation solutions and a mobile smartphone form-factor test device consisting of a 5G modem and antenna modules from Qualcomm, was achieved using a network configuration that combines the latest 3GPP Release 15.3.0 5G NR technologies. The companies described the achievement an important milestone that enables mobile operators to deploy 5G NR SA mode, which does not rely on an anchor in the LTE network, to deliver enhanced Mobile Broadband (eMBB) services required by many 5G use cases. AT&T will launch its mobile 5G network on December 21. The first offering will be a mobile 5G hotspot device from Netgear priced at $499. The service is priced at $70 per month for 15 GB of data. Expected data speeds were not disclosed. 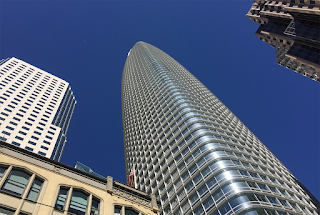 AT&T said its standards-based 5G network is now live in parts of 12 cities: Atlanta, Charlotte, N.C., Dallas, Houston, Indianapolis, Jacksonville, Fla., Louisville, Ky., Oklahoma City, New Orleans, Raleigh, N.C., San Antonio and Waco, Texas. 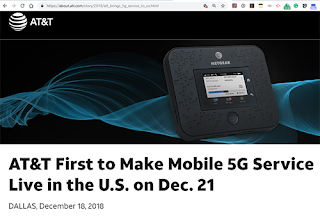 Expansion plans in the first half of 2019 call for activation of mobile 5G in parts of these 7 additional cities: Las Vegas, Los Angeles, Nashville, Orlando, San Diego, San Francisco and San Jose, Calif.
AT&T has previously announced plans to offer a 5G smartphone from Samsung in the first half of 2019. A second Samsung 5G smartphone able to access both 5G mmWave and sub-6 GHz is expected in the second half of 2019. 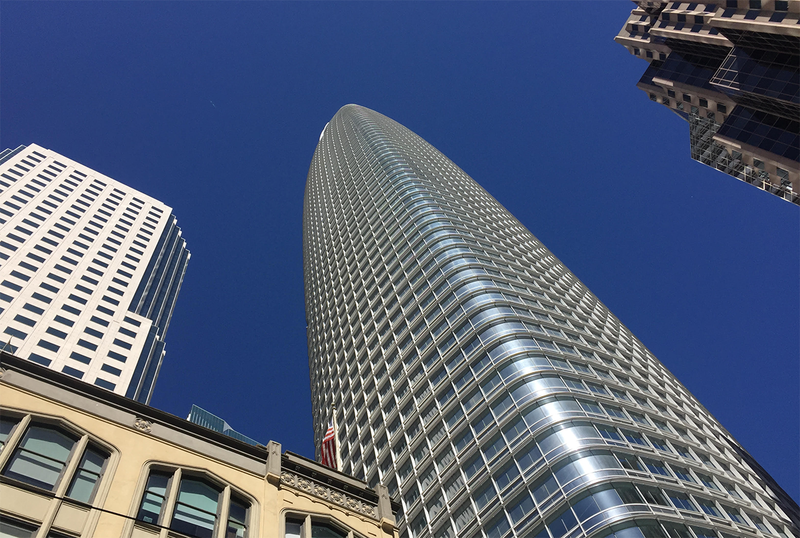 AT&T will expand its rollout of 5G to three additional cities this year – Charlotte, Raleigh, and Oklahoma City – bringing its total number of cities with 5G launches in 2018 to 12. The other previously announced cities are Atlanta, Dallas, and Waco. AT&T also noted that its 5G Evolution technology is now live in more than 140 markets, and will reach at least 400+ markets this year. 5G Evolution enables peak theoretical wireless speeds of at least 400 Mbps on capable devices. Also, AT&T has just launched LTE-LAA in parts of 8 new markets – Austin, Dallas, Houston, Little Rock, San Antonio, San Jose, Tampa, and Tuscaloosa, Alabama, bringing the total number of LTE-LAA markets to 15. LTE-LAA offers peak theoretical wireless speeds reaching up to 1 Gbps on capable devices. AT&T is seeing peak wireless downlink speeds nearing 1 Gbps and latency rates less than 20 milliseconds in its field trials of fixed 5G service. The results were achieved in AT&T's 5G pilot in South Bend, Indiana.